I have legitimate New Steam copy. After launching new game and seeing EIRR loading screen, went to COH main menu with all options greyed out. Requires product key message. I've played vanilla and never had this problem. The COH main menu is under my computer name, not my Steam account name, which is strange. when booting COH it's normally under Steam name. 2. 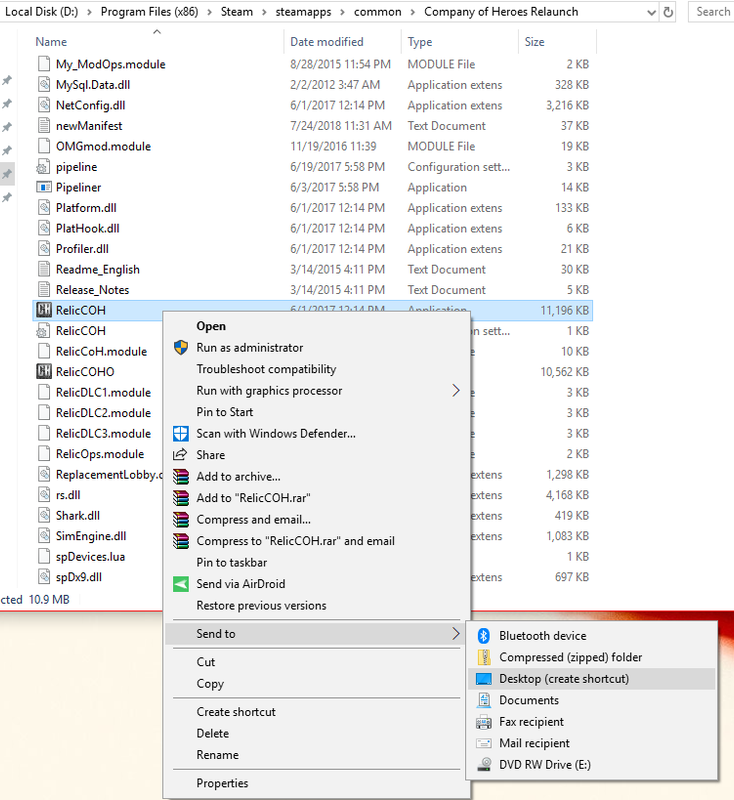 There are some CoH mods that are incompatible with EIR, so you may need to remove them. 3. 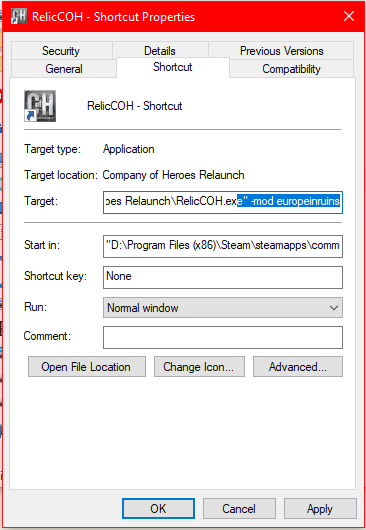 When launching the game from EIRR launcher, are you getting a confirmation pop-up asking to run CoH with the extension "-mod europeinruins" ? Thanks for the quick reply. I'll uninstall all other versions. I have no other mods just some custom maps. I receive no confirmation message but maybe point 1 covers it. Thanks. I've been dreaming of this mod for COH for years. It's great I found it. Once you've done that, you can test if EIR is working without having to get a game started first. 2. Right click on the shortcut made on your desktop and click properties. In the shortcut link, you'll want to add " -mod europeinruins"
3. Double click the shortcut once you've changed the properties. This should run EIR for you. If the error is gone, you are set to play games using the launcher. If its still there, let us know. Much appreciated. All the signs look good. I'll attempt a battle and then modify this post.